Don Berry was famous for being an eclectic writer. He published fiction, non-fiction, children's books, and poetry. Similarly, his topics ranged from metaphysics, Eastern philosophy, mathematics of music, to the American West. 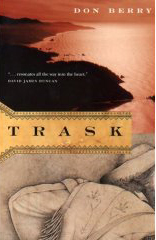 Berry is perhaps best known for his novel Trask (1960), the story of Elbridge Trask who in the 1840s was the first white homesteader on Tillamook Bay. Two sequels followed - Moontrap and To Build a Ship - and the three novels have collectively become known as the 'Trask novels'. 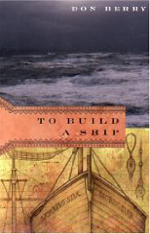 Critically acclaimed, all three books were published as new editions in 2004. The Saturday Review says of the new edition "[Trask] is the most exciting book I have read in years", while The Oregonian describes the book as "...a landmark work." Berry has also been described as "a pre-eminent figure in Northwest letters" (Gary Snyder), and "he ranks among the best of Western writers" (Washington Post). 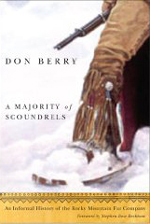 Other works by Berry include A Majority of Scoundrels (1977), a history of fur trading in the Rocky Mountains. Berry passed away in 2001. 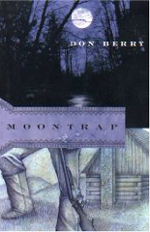 For more information on him and a complete list of his works go to http://www.donberry.com/ or http://en.wikipedia.org/wiki/Don_Berry_(author).